Of the many stories to emerge from the lengthy Palestinian-Israeli conflict, the tale at the centre of The Wanted 18 is one of the more peculiar ones. Recounting events surrounding the time when 18 cows became a threat to Israeli national security, the film offers a unique portrait of The Palestinian Intifada. Covering the period from 1983 to 1993, the First Intifada saw numerous unarmed civilians rebelling against Israel via protest and frequent refusals to pay taxes. At the epicentre of this insurgency was the West Bank town of Beit Sahour. Tired of having to rely on Israel for the basic necessities of life, the people of Beit Sahour formed a committee to focus on improving life in key areas including education and agriculture. It was from this commune that the idea of producing their own milk grew. Purchasing 18 cows from an Israeli farmer, without even a clue as how to milk them, the townspeople viewed this as a momentous step towards independency. However, the Israeli army did not share in the same joyous sentiment. 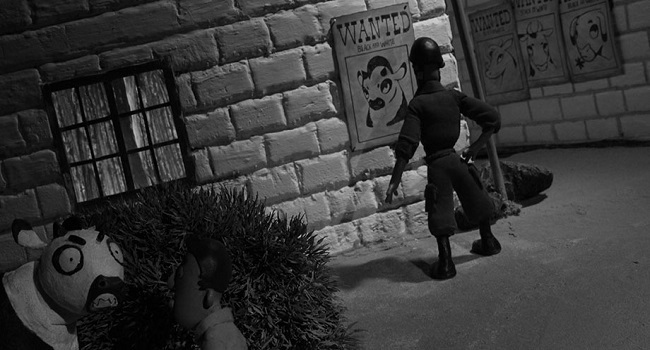 Using stop-motion animation, interviews and drawings, The Wanted 18 captures the unbelievable moment in history with humour and depth. The animation provides an interesting touch as directors Amer Shomali and Paul Cowan frequently envision what the cows, four in particular, must have thought of being consider terrorist by their former homeland. While the directors have a lot of fun with the absurdity of the events, especially the 8 day search conducted by a hundred Israeli soldiers for the cows, The Wanted 18 is more than a farcical tale. It is a story about independence and the painful sacrifice that comes with it. Shomali and Cowan capture the spirits of uprising by showing that the cows’ importance was more than mere milk producers. They were symbols of freedom and growth. They represented those who desired to end their oppression by being self-sufficient. The people of Beit Sahour knew that the conflict between Palestinians and Israelis was a much large and complex battle than simple issues of cattle. However, in their little corner of the resistance, the cows were the beacon of light that they could rally around to usher them out of the seemingly endless dark tunnel of their current existence. The reason The Wanted 18 is such an entertaining and moving film is that, even in its laugh out loud sections, it never loses sight of significances of the First Intifada. The audience walks away not only understanding what the people of Beit Sahour endured, but also feeling something for the cows being hunted. That in itself is quite an accomplishment. ← TIFF 2014: Trick or Treaty? Looks awesome! Thanks for sharing. The Intifada and Israeli conflict is difficult to wrap your head around. I bet my students would “get” the story. 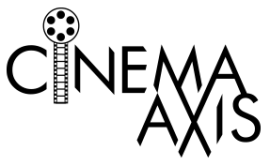 What is it about stop animation’s power to spread ideas in a coherent way? Films with them are frequently memorable. For example, Plato’s Cave explained with stop-motion animation is a treasure. Anyway, great post. I think your students would love the stop-motion animation aspects of the film. It helps to convey the complexities of the issue in a universally relatable way.